With hot weather looming outside everyday and the prospect of having any and all wool stick to me upon contact, my summer crafting usually has to be pretty thought out. Between taking M to the pool and actually letting her play outside in the disgusting heat (I’m clearly not a big fan of being hot), I have found that small portable knitting projects get the most attention. That being said, two of my favorite events happen every summer – Stash Dash and Tour de Fleece – both of which require serious planning. In order to minimize the time wasted in this manner, I’ve lined up some of the larger projects I would like to accomplish this year that would seriously help reach the 5K goal. Since I won’t likely bring these projects on our outdoor “adventures”, I will be certain to have a smaller project on the needles at all time. 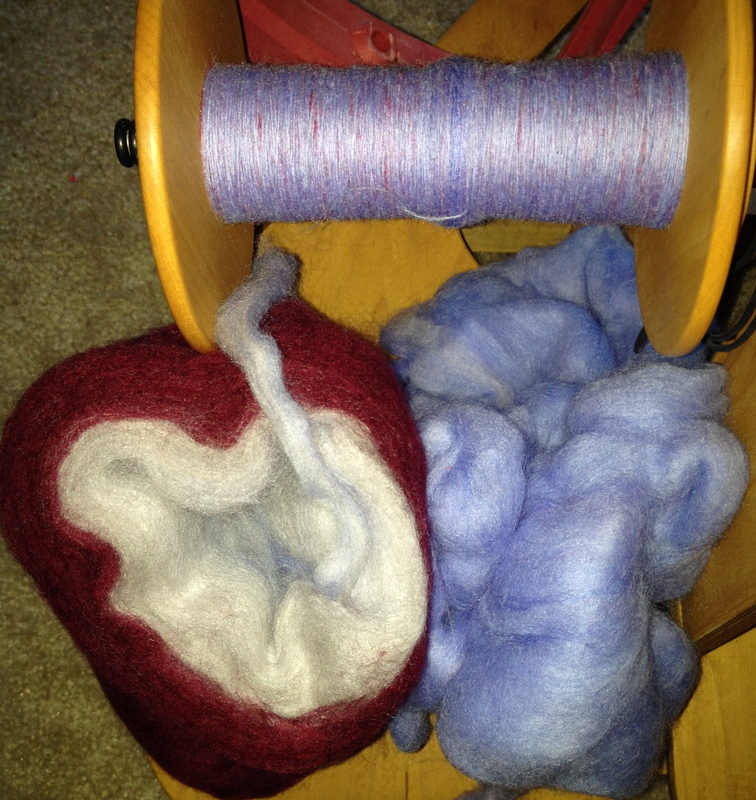 This year, however, Tour de Fleece seemed to sneak up on me – as did the month of July in general. 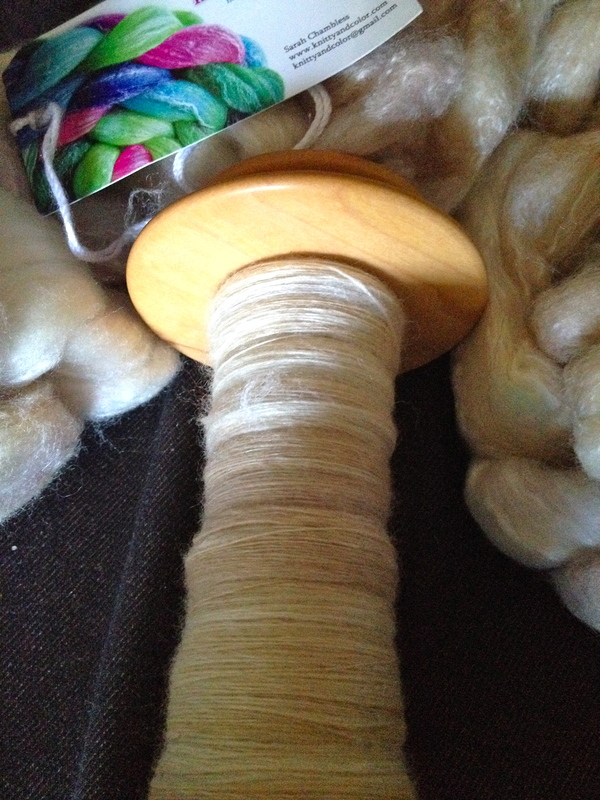 I originally intended on spinning my Jacob fleece batts and having it either all ready to ply or completely finished by the end of the Tour. 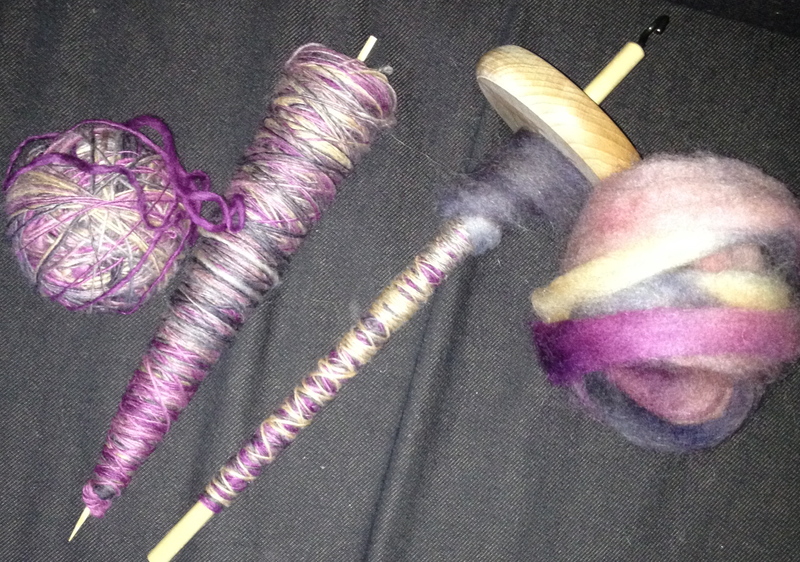 Since it began on July 5th and I realized the day of that I had projects going on nearly all of my bobbins and both of my drop spindles, I decided to change things up a bit. Loop Bullseye Bump – Merino in the Vineyard colorway. KnittyAndColor – Merino/Bamboo in the Soren colorway. 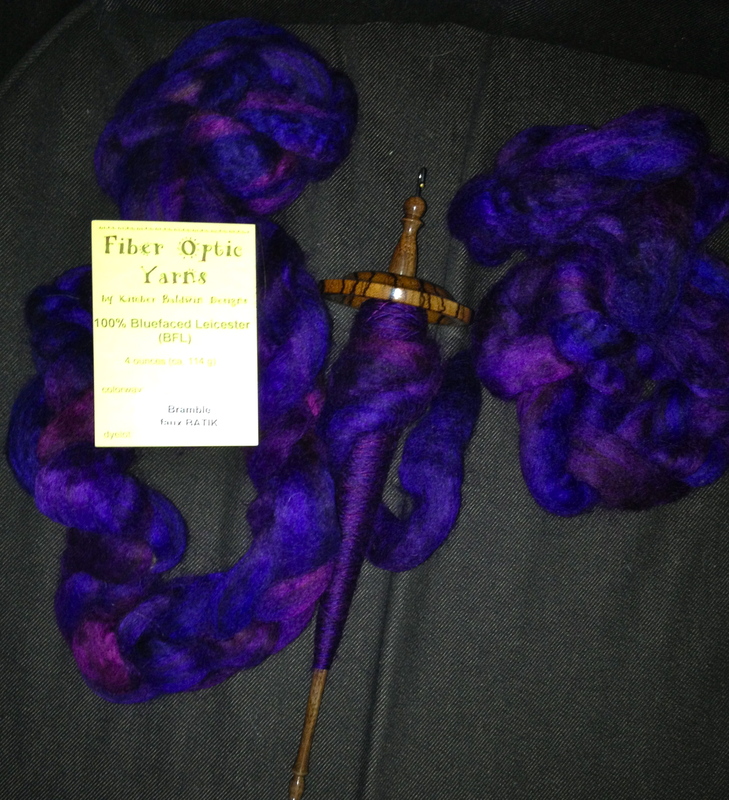 FiberFancy – Shetland in the Costume Ball colorway. Fiber Optic Yarns – BFL in the Bramble faux Batik colorway. Unwind Yarn Co – Polwarth/Silk Blend in the Ghoulish colorway. 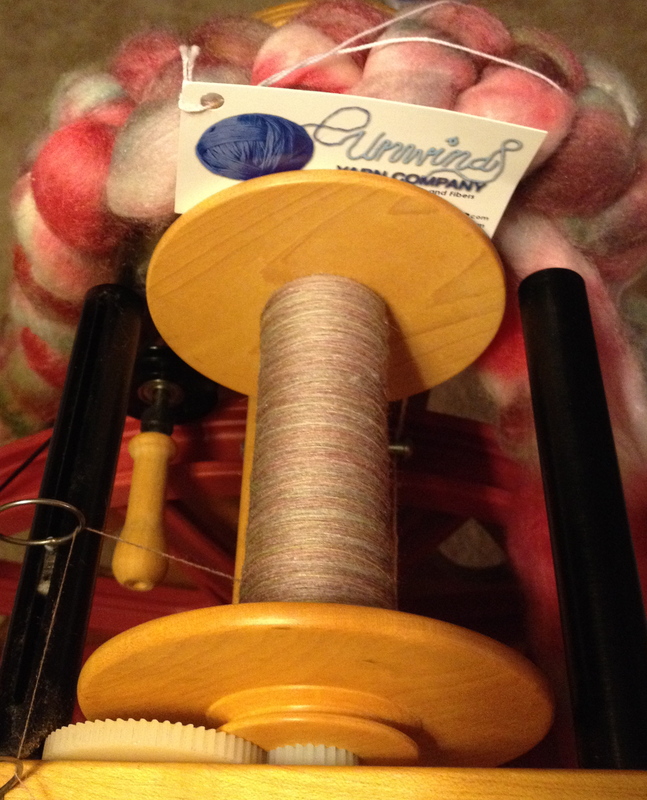 This is also a much better goal as I will be doing a bit of traveling and it is much more reasonable to bring along a drop spindle or two than to bring my wheel along for the ride. Not to mention a lot less annoying for those I’ll be traveling with! What are your crafting goals for the summer? Planning any Christmas in July crafting to get a head start on your gifts basket? Please share to keep me… inspired? …paralyzed by all the possibilities?